Stevie Nicks has gone back in the studio to record a brand new version of her song Gypsy. The new version will be used as the theme for the Netflix series of the same name starring Naomi Watts and Billy Crudup which debuts all ten episodes of its first season this Friday (June 30). Gypsy is the story of a therapist, played by Watts, who "begins to develop dangerous and intimate relationships with the people in her patients' lives." According to Nicks, the new version is much closer to her original vision for the song which is more piano based. 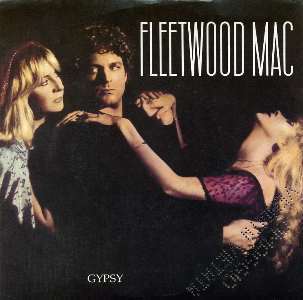 Gypsy was originally on Fleetwood Mac's 1982 album Mirage and reached number 12 on the Billboard Hot 100. The song was arranged in a very similar vein to Nick's other hits with the band, Rhiannon, Dreams and Sara. Nicks has explained that the song was inspired by a simpler time in her life pre-Fleetwood Mac when she and Lindsey Buckingham were leading a very simple, sparse life. Although she wrote the song in the late-70s, she also associates it with her late, very close friend Robin Snyder Anderson who died of leukemia in 1981.